The Pennsylvania Pharmacists Association (PPA) is proud to announce that a Wilkes University Nesbitt College of Pharmacy student, Colleen Herman, was the winner of the Know Pain Know Gain Pharmacy Patient Counseling Competition for pharmacy students. 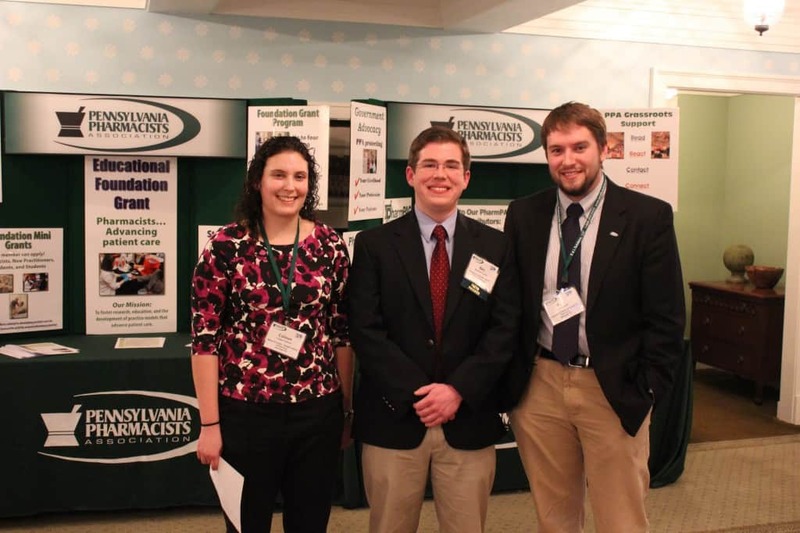 The Know Pain Know Gain Competition took place during the 2014 PPA Mid-Year Conference, held January 24-26, 2014 in Bedford, Pa. Herman is a 2014 PharmD Candidate, from Lancaster, Pa. The Know Pain Know Gain Pharmacy Patient Counseling Competition consisted of two rounds, a rapid fire question elimination round, and a patient counseling round. The competition was sponsored by National Alliance of State Pharmacy Associations (NASPA) and Purdue Pharma, L.P. Herman was a finalist, along with Benjamin Andrick, Duquesne University Mylan School of Pharmacy, a 2015 PharmD Candidate and Kyle McGrath, University of Pittsburgh School of Pharmacy, a 2015 PharmD candidate. Pictured from left to right are: Colleen Herman, Benjamin Andrick and Kyle McGrath.